LOCHBUIE, Colo. -- A mother has been arrested after a video showing alleged child abuse was posted on YouTube and shared several times on Facebook went viral, the Lochbuie Police Department said Thursday. The child is safe and in protective custody. Several viewers emailed the video to FOX31 Denver and authorities opened an investigation of the alleged abuse of the toddler, who is heard being cursed and screamed at by his mother as he cries. Police have not identified the mother, but court records indicate she has been charged with cruelty toward a child and is being held on $3,000 bond. She has a bond hearing Thursday afternoon in Weld County. 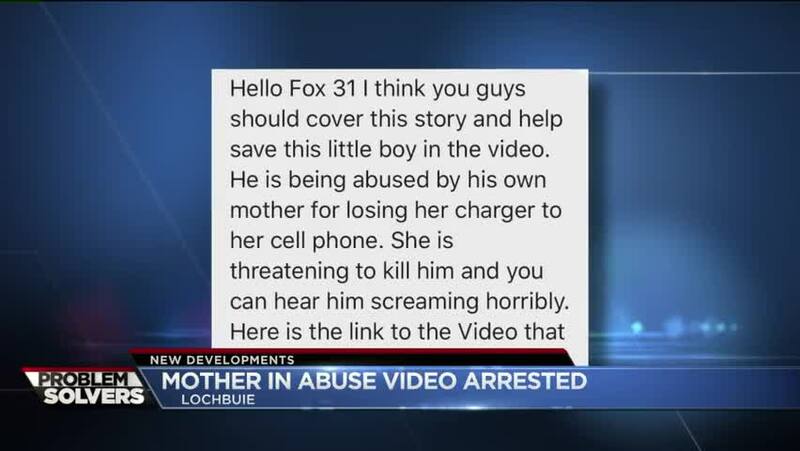 The woman who took the cellphone video but is not related to the mother said Lochbuie police have also charged her with child abuse because she did nothing during the 16-minute video. But the woman claims she cannot walk or move and feels bad that she did not do more. She is due in court July 18.